On rare occasions, I cross the Columbia River to visit Washington. 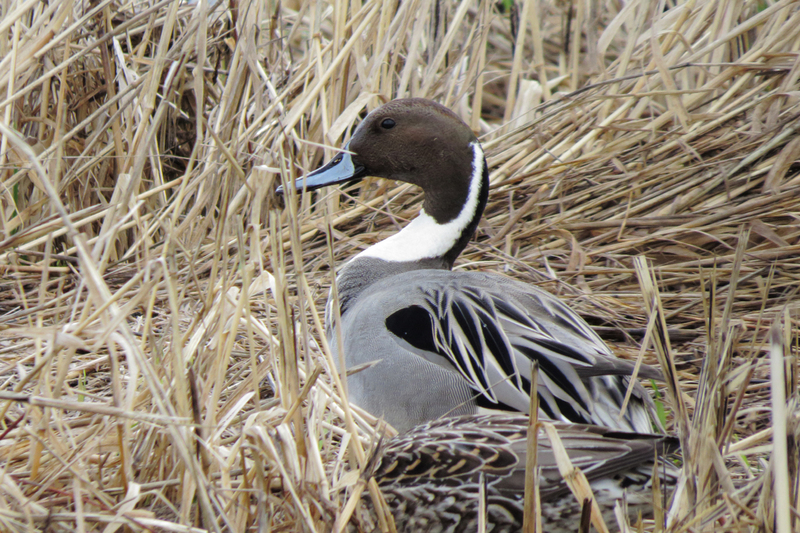 When the weather is less than stellar, the auto tour at Ridgefield National Wildlife Refuge offers a nice way to get close to wildlife without getting too wet. 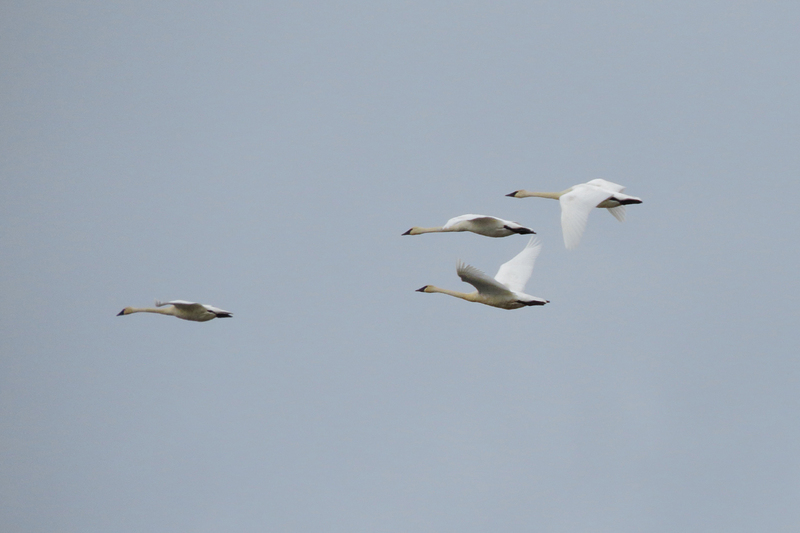 A lot of Tundra Swans are wintering at Ridgefield this year. 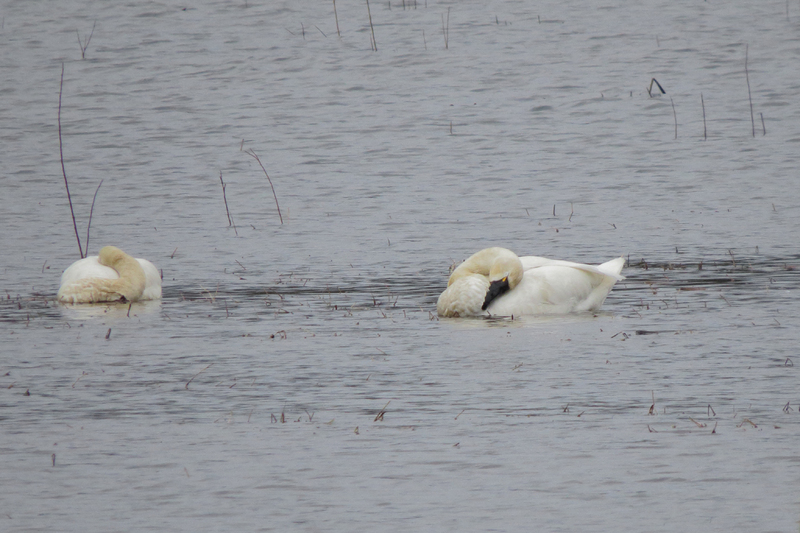 There are Trumpeter Swans, too, but I did not get any close looks at them. 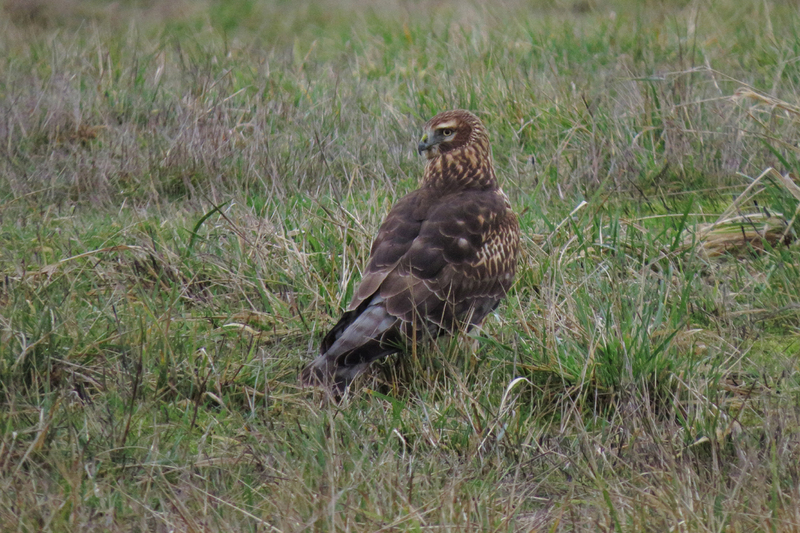 Northern Harriers are common throughout the refuge. This one was having a good stretch. 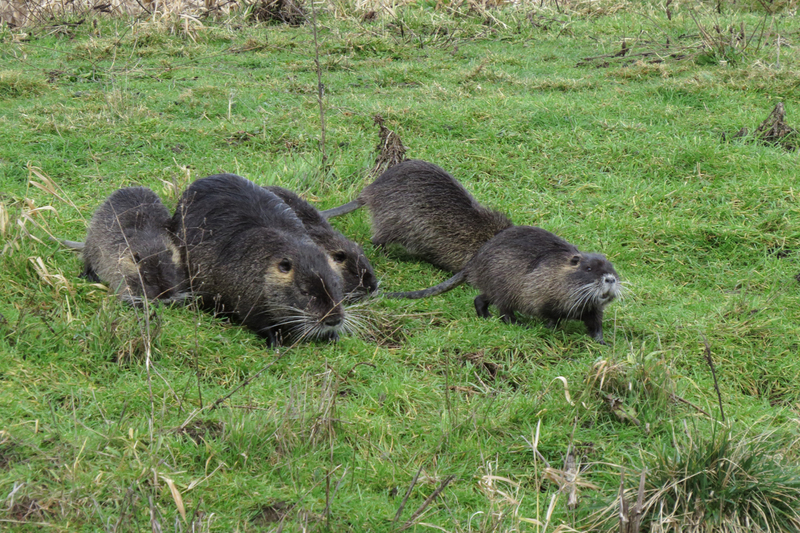 A family of Nutria put on a nice show. Invasive, but adorable. 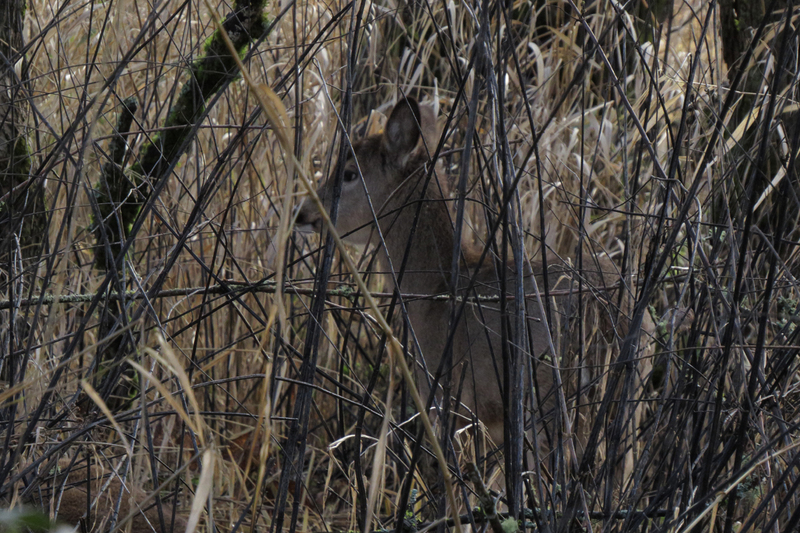 Columbian White-tailed Deer, a threatened subspecies, have been introduced to the refuge in recent years. This fawn was born last spring, so at least some of the deer are making themselves at home. Unfortunately, I believe many of the Coyotes that used to be so visible on the refuge have been “removed” to make conditions safer for the rare deer. 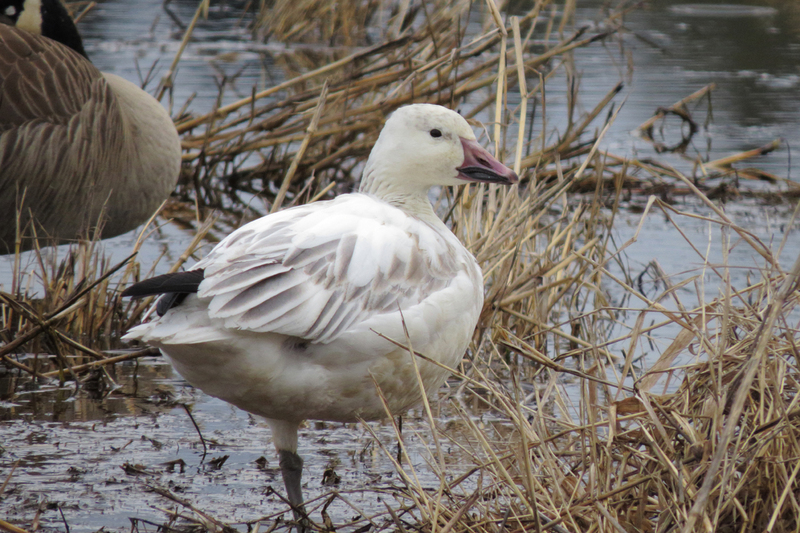 This lone Snow Goose was hanging out with the numerous Canada and Cackling Geese. 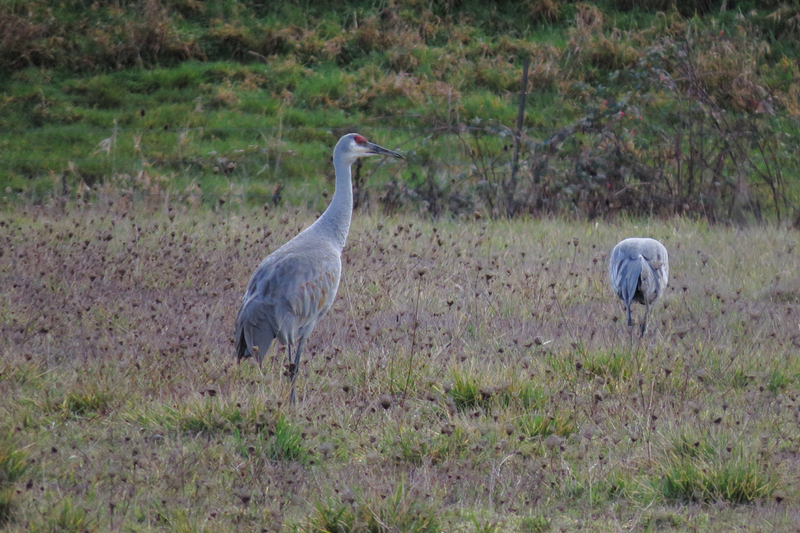 Sandhill Cranes were feeding in the grassy fields. The last time I visited Ridgefield was during my mom’s final visit to Portland. 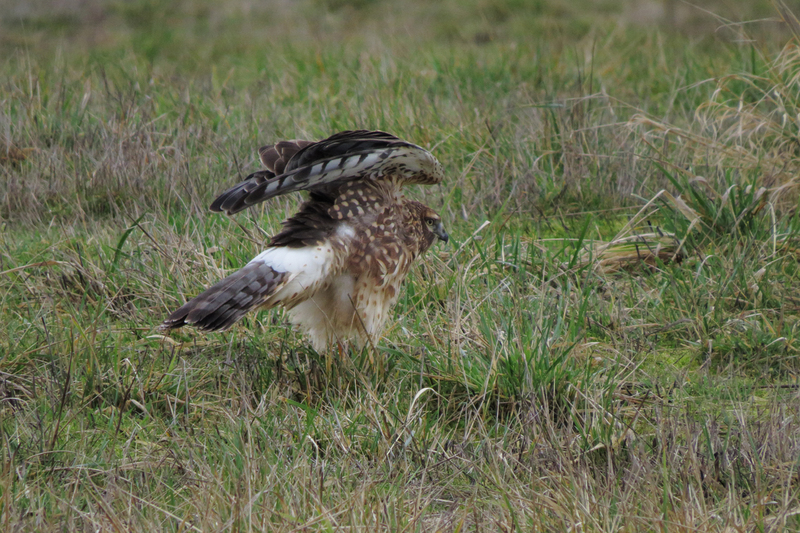 Her mobility was not great, so the auto tour provided a great way for us to get out to do some birding together. 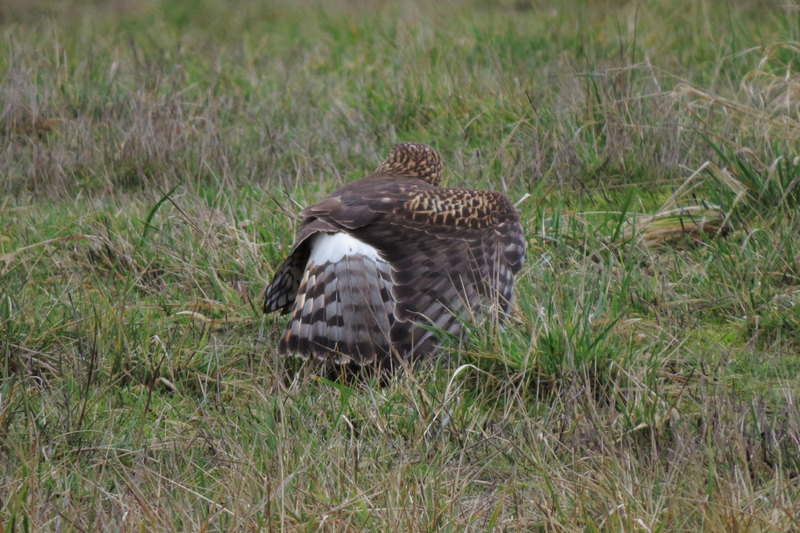 During that visit, the highlight was a cooperative American Bittern. 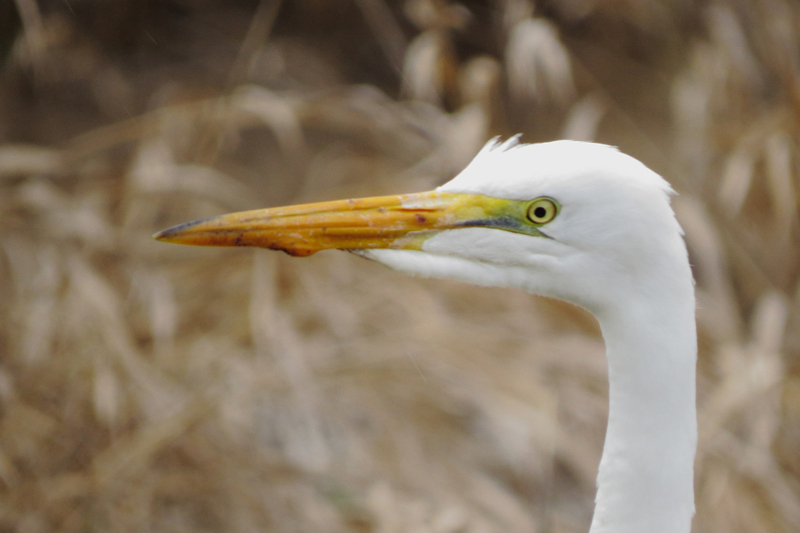 I didn’t find any Bitterns on this trip, but this Great Egret did his best to fill the void. This entry was posted in beyond OR, mammals and tagged Columbian White-tailed Deer, Great Egret, Northern Harrier, Northern Pintail, Nutria, Sandhill Crane, Snow Goose, Tundra Swan. Bookmark the permalink.